Briefly describe your opportunity and how you got connected to it. "In the Business Advisor Program at EY, I will be meeting with clients to help resolve issues and implement strategies to improve performance throughout different areas of the firm, including: finance, marketing, operations, supply chain and more. I first learned about the position at the SJU Career Fair. After speaking with the recruiter, I performed a virtual interview and was then invited to a final interview in Dallas, TX." "I believe SJU's holistic approach to education helped me achieve this position. Learning all the different areas of business, summed up in Business Policy, prepared me to succeed in my interviews and will allow me to recommend solutions to my clients. Furthermore, my experience in liberal arts classes has shaped me into a well-rounded person and provided me the interpersonal skills to thrive in a client-facing role." 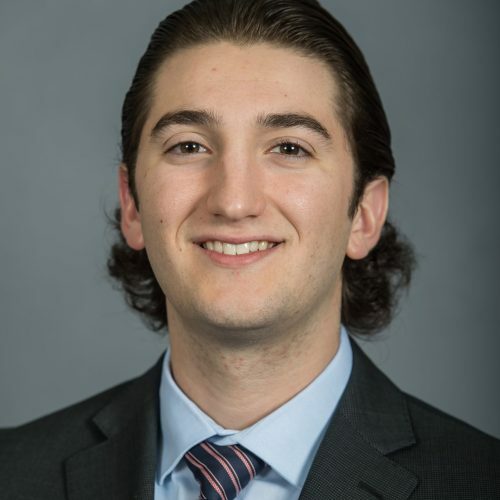 "While at SJU, I held multiple intern positions, including: Financial Analyst at RBC Wealth Management through the Economics Internship course, Operations Analyst at Wirecard North America, Auditor at The Port Authority of NY&NJ, work-study student in Inter-library Loans, and craftsman at Peragallo Organ Company. I was the Treasurer of the Net Impact organization where we made social and environmental changes to campus, and was a member of the Haub Socially Responsible Investing Club. During my junior year, I studied abroad in Florence, Italy where I was able to immerse myself in the culture of my family background and explore the beauties of Europe. Lastly, I played intramural flag football and softball."